Wolverine 3 will be officially R-rated, "violent" & "very radical, bold & different"
It's been rumored for ages that Wolverine 3 plans to follow in the footsteps of Deadpool with an R-rating. Early reports insist that Fox was plotting a more adult angle for Logan's final outing anyway - before the Merc's solo flick cleaned up - and now we know that it's 100% true. There will be (buckets of) blood on those adamantium claws, folks. Another major rumor that it sounds like Kinberg is also confirming is the Old Man Logan storyline. The fan-favorite comic series is thought to be the inspiration for the threequel, which takes place in a scary-as-hell alternate timeline. It's part-sci-fi, part-Western and part-horror. 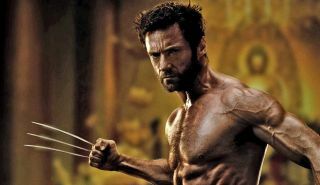 A quick flick through the series and you'll know there's no way the material could be adapted (loyally, anyway) without an R. "It’s a very radical, bold, different Wolverine than you’ve ever seen in any of these movies," he adds. However, due to the rights issues there's going to be some changes to the tale, as many of the prominent characters in Logan's last hurrah are licensed by other studios. Namely, Marvel and Sony. Although with those two burying the hatchet to craft a killer new take on Spider-Man, if there was ever a time for an Avengers-X-Men crossover, it's now. Directed by James Mangold and starring Hugh Jackman, Boyd Holbrook, Richard E. Grant, Stephen Merchant, Eriq Lasalle and Elise Neal, Wolverine 3 opens in the UK on March 2, 2017 and in US theaters on March 3, 2017.